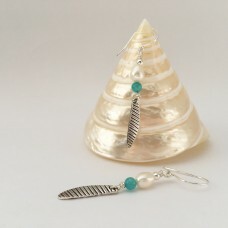 This dainty little pair adorned with white freshwater pearl and blue jade is a favourite with many. 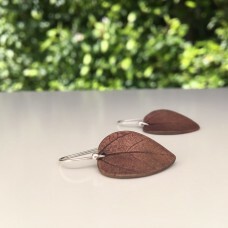 ..
A classic and contemporary pair of bronze leaf earrings on a sterling silver ear wire. Leaves were c.. 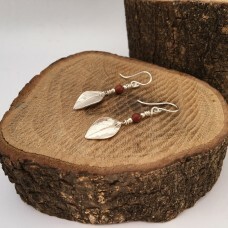 This funky pair is part of the bohemian chic range. The round discs have a diameter of 2.7cm and are..
A sweet pair that suits young and old. 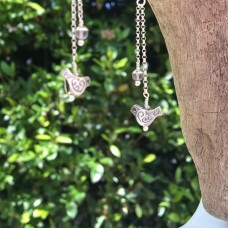 The artisan made sterling silver birds dangle of a sterling s..
A pair of long but narrow bronze leaf earrings on a sterling silver ear wire. 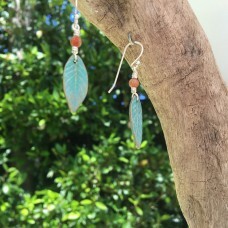 Leaves were cast in br..
A pair of long but narrow bronze leaf earrings adorned with a small rainbow jasper bead and fitted t.. 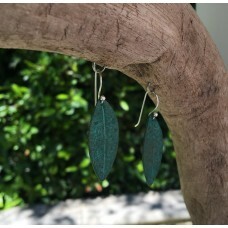 This pair was cast in bronze from a real leaf and layered with deep green patina. 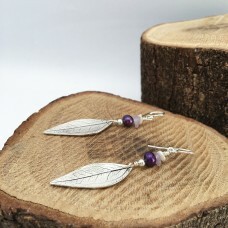 They hang off a pa..
Long classy silver leaf dangles adorned with freshwater pearls and amethyst in purple hues. Dangles .. 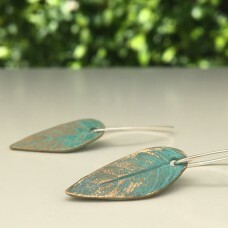 These delicate and pretty leaf dangles were cast from a pair of leaves I collected from an unspecifi.. 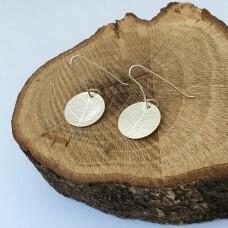 These dainty fine silver leaves were cast from an oregano leaf from our backyard. 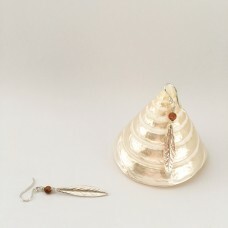 They're adorned wi.. 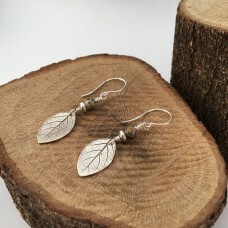 These delicate and pretty leaf dangles were cast from a pair of oregano leaves I collected from our .. 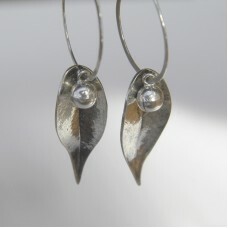 This intricate and contemporary looking pair was made using the process of metal pressing, whereby a.. 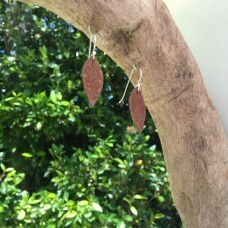 This lovely pair was cast in bronze from a real leaf and layered with a deep red patina. 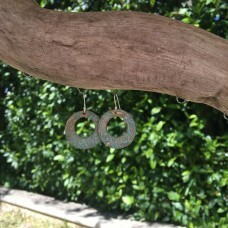 They hang o..
Oh myThese are BEAUTIFUL! 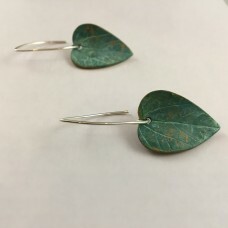 I made the gorgeous curved leaves from a sacred bamboo leaf that I imprint..